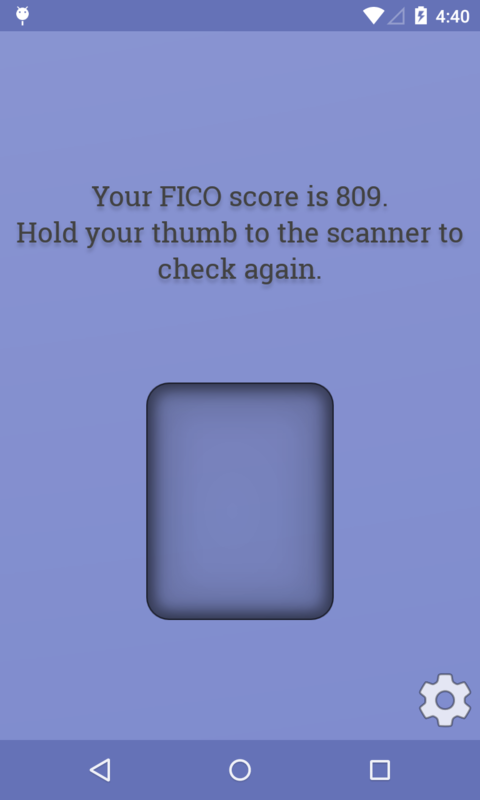 Do you ever wish that you could find out your FICO credit score without having to pay? Well, there actually are legitimate ways to get a free credit report online. Sadly, this app is not one of them. 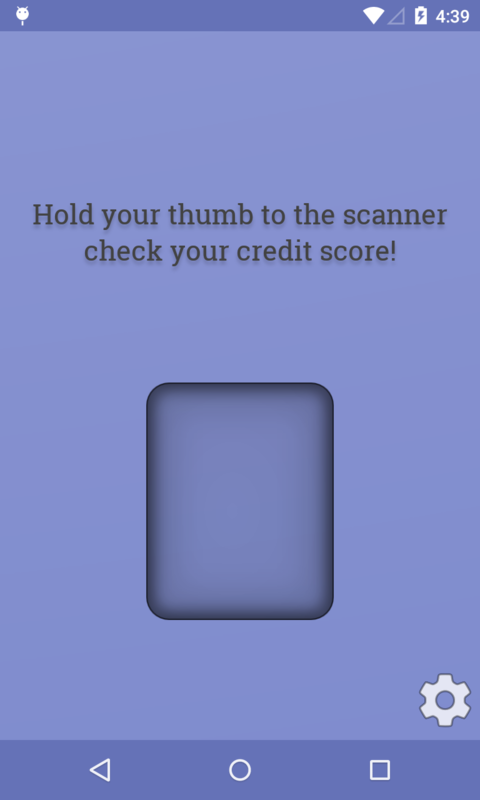 Credit Score Test is a fake novelty app that pretends to generate a FICO credit report based on a mock thumbprint scan. The app doesn't really do anything of note. 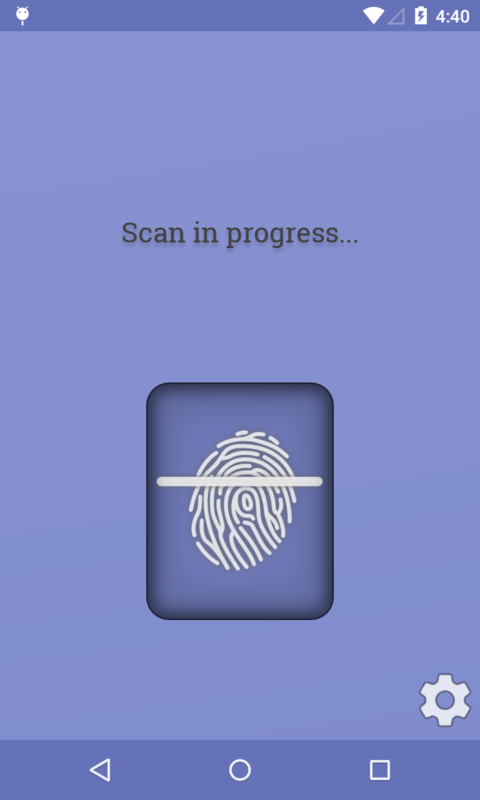 It mainly just generates a fake random credit score after conducting a fake thumbprint scan. But wait, there's more! 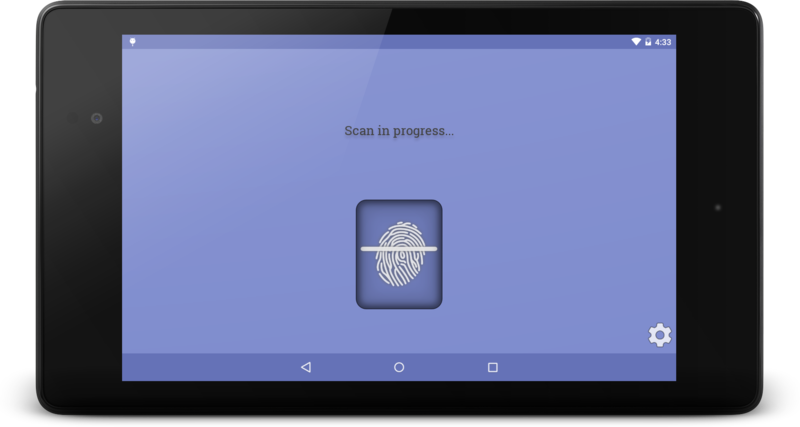 Credit Score Test also has the ability to set up custom response scores, so that you can instruct the app on what score to return after the fingerprint scan! Just think of all the possibilities. You can make it look like you have an awesome credit score, and then make it look like your friends have terrible credit! You can even try to take the app into the bank and show them that you have a sterling credit score, in hopes of securing an epic loan! Just to be clear again, the credit score returned by this app is fake, and this app has no affiliation whatsoever with any reputable credit reporting agency. It's just a fun novelty app for pranking friends or impressing the ladies at the club. Just think - show that girl at the bar that you have a flawless credit rating, and she's going to start wondering what you can buy for her! By the time she figures out the joke, you might already have her half way down the wedding aisle! So what are you waiting for? Trick the bankers into giving you a loan! Play jokes on your friends! Get the girl! All is possible when you download Credit Score Test today! Batteries not included.